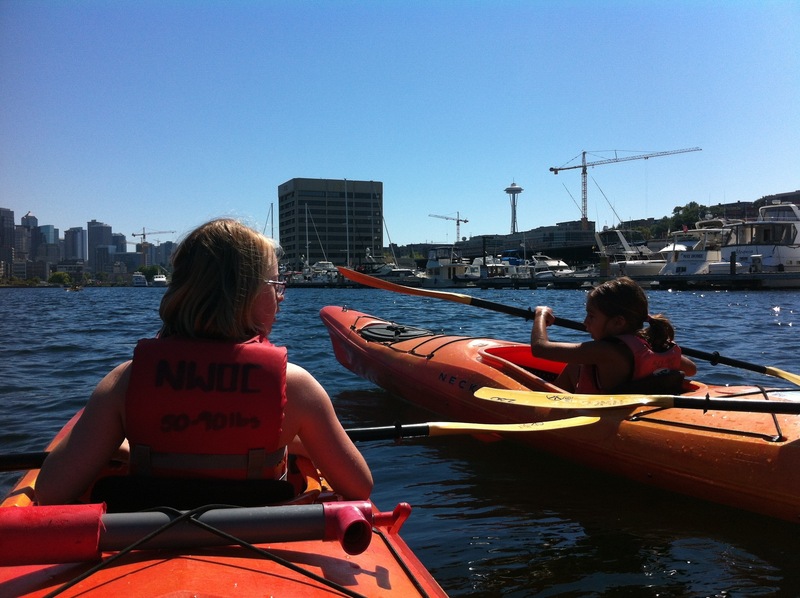 We kayaked on Lake Union today. 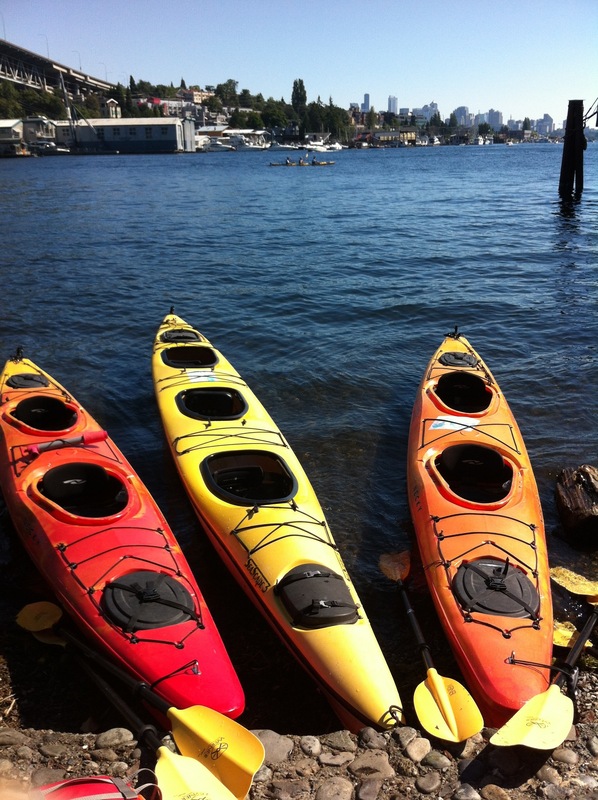 I recommend this to anyone visiting Seattle; it’s a fantastic way to experience downtown and take in some incredible views. We rewarded ourselves with chicken and fries at the far end of the lake. This, too, is highly recommended. 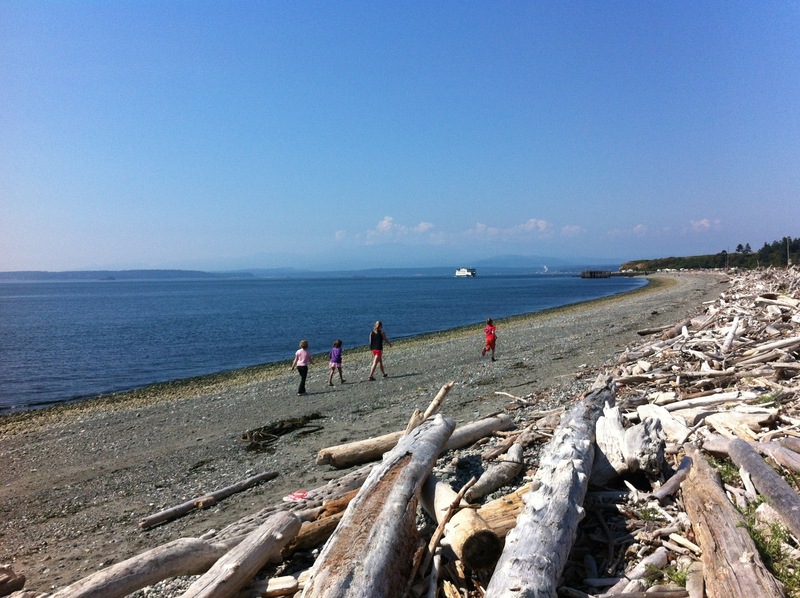 So much driftwood lines the beaches of puget sound. 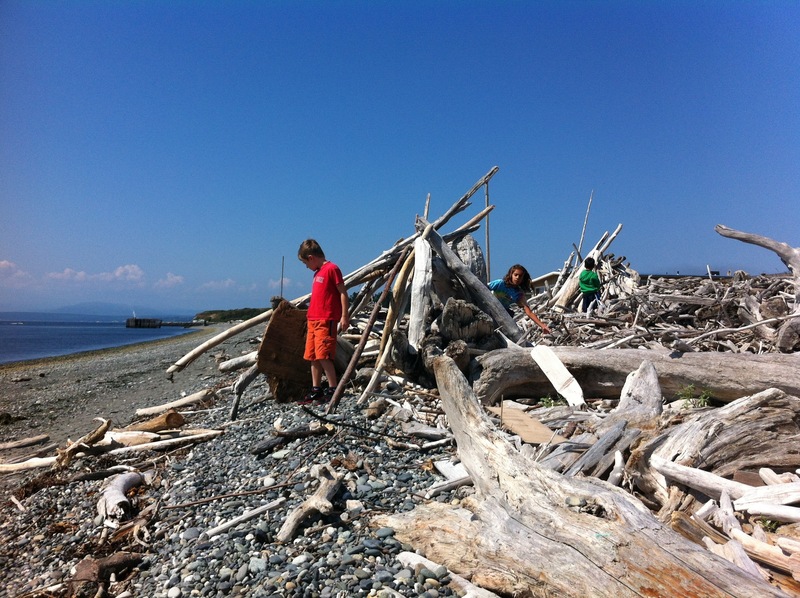 Past visitors have made forts that the kids and visiting friends played in during a visit to Whidbey Island today. They made new forts too, while Ruth and I obsessively combed the beach for sea glass and unique rocks. Tons of rocks, very little sea glass. 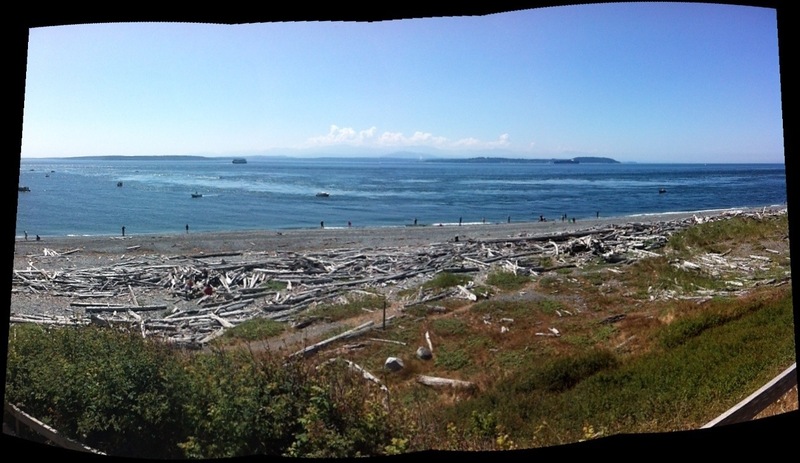 After a good greasy lunch, we hit Fort Casey, where we further obsessed in our efforts to spot a seal or whale. We had better luck with sea glass.